The 2018 Advent Calendar is sold out. We’re sorry, but we have other exciting offerings shortly to be released. Stay tuned for our 12 Days of Christmas Box! An Advent Calendar for grown ups? Absolutely! Holidays are the silly season for us adults. Wrapping projects (and presents! ), attending do’s, planning for family vacation, and generally waiting for Christmas chaos to descend. So where are our boxes of super special treats with enticing little windows and doors to help us get into the holiday spirit? Hey, grown ups deserve some fun, too, right? Right! That’s why we created the Kereru Beer Advent Calendar. 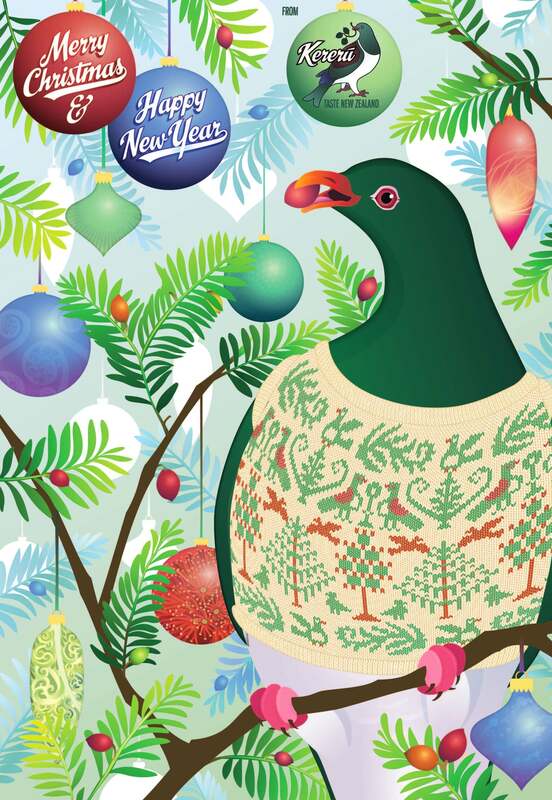 Now in it’s third year, the Kereru Beer Advent Calendar is the ultimate gift (or gift to self!) for beer lovers. It brings a little joy, and a lot of discovery, to the holiday season. Each advent calendar features 24 beers (20 unique beers with 4 special repeats), highlighting handcrafted lagers and ales made with our very own NZ-grown malt and hops. But, we only make a limited number of Advent Calendars each year, and they seem to sell out quicker and quicker each year. So buy one, or four, or ten (they do make terrific gifts) and get ready to be delighted by the best Kereru has to offer. This is our third year offering a special, festive Beer Advent Calendar for people in New Zealand (and a lucky few in Australia) to enjoy. We’ve put a great deal of care and thought into the sequencing of the beers - each box should be in the same order so share your experience each day with your friends and ours on social media using #KereruAdventCalendar.